Researchers at the University of Southern California believe they may have found an effective treatment for Alzheimer’s. Instead of using chemicals to protect synapses and brains cells, they are now testing microchips that could potentially mimic cognitive function. The initial tests on mice and monkeys were extremely successful, and they have now advanced to long-term human trials. Aging adults who require assistance with the tasks of daily living can benefit from reliable elder home care. Oshkosh, WI, families trust in Home Care Assistance to provide the high-quality care their elderly loved ones need and deserve. Our caregivers are trained to help seniors prevent and manage serious illnesses and encourage them to make healthier decisions as they age. Alzheimer’s develops when pockets of protein attach themselves to brain cells and eventually kill them off. As the cells are destroyed, it becomes nearly impossible for electrical signals in the brain to get to the correct synapses. This damage causes many of the symptoms we now associate with dementia-related conditions such as behavioral changes, mood swings, confusion, difficulty with motor skills, and memory loss. Most of the current Alzheimer’s treatments are designed to slow the rate of decay, but they do nothing to restore cognitive function. This might all change in the future with neuroprosthetics. Dr. Theodore Berger is currently working with a research team at the University of Southern California to develop a microchip that will simulate the electrical impulses created by the brain. The Berger chip helps redirect the impulses so they reach the correct neurons. The chip will not restore a senior’s memory, but it could potentially help him or her create and access new memories. These chips are being tested on humans, but Dr. Berger claims the advancements over the next few months will be significant. Scientists have made considerable headway with brain implants over the last two decades. Implants are currently being used to help paralyzed people manipulate robotic limbs with nothing more than their thoughts. Much like Berger’s chip, these implants assess the electrical impulses as they are being created by the brain. Thousands of deaf people have also benefited from cochlear implants that recognize nerve impulses within the ear. The next logical step for this technology is to save, organize, and emit the impulses that affect memory. Future iterations of Berger’s chip might be able to fully take over all brain processes in the event of a degenerative disorder. These implants may also be beneficial for seniors living with other dementia-related disorders. Dementia can be challenging for seniors to manage, but they can maintain a higher quality of life with the help of professional dementia care, Oshkosh seniors can benefit greatly from the Cognitive Therapeutics Method (CTM), an activities-based program designed to slow cognitive decline and delay the onset of dementia. CTM is included at no additional charge with any of the in-home care plans provided by Home Care Assistance. Dementia-related disorders such as Alzheimer’s are extremely complex, and there is no single treatment that works for everyone. Doctors around the world are working on many different procedures that could potentially help seniors with Alzheimer’s, including injections that can break apart the strands of protein that cause brain damage. Currently, the most effective way to slow the progression of Alzheimer’s is a blend of prescription medication and lifestyle changes. While there is no permanent cure for this disease, early diagnosis can enhance a senior’s quality of life. For reliable Alzheimer’s care, Oshkosh families can turn to Home Care Assistance. We are a leading provider of professional memory care designed to help seniors maintain a higher quality of life. 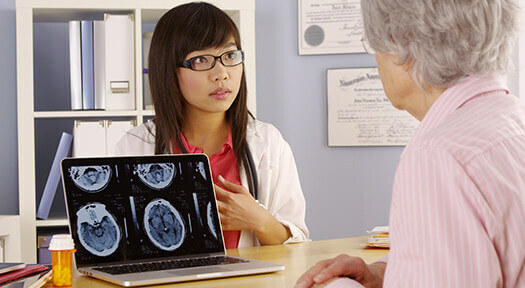 In addition to Alzheimer’s care, we also provide comprehensive dementia, Parkinson’s, and stroke care. From revolutionary care programs to compassionate and dedicated caregivers, we can meet all of your Alzheimer’s home care needs. Call (920) 710-2273 to speak with a friendly Care Manager to find out about our flexible care plans.